The UAE Expat Rugby Conference is the second tier league of UAE rugby with 10 local UAE rugby clubs participating in the league format competition which runs from September to May each season. The Conference has been split into two groups who will each play home and away fixtures during the first half of the season. Group A are formed of all UAE Premiership represented clubs and Group B are all other UAE rugby clubs. They all fall under the one league table this year with no split league as seen in previous years. 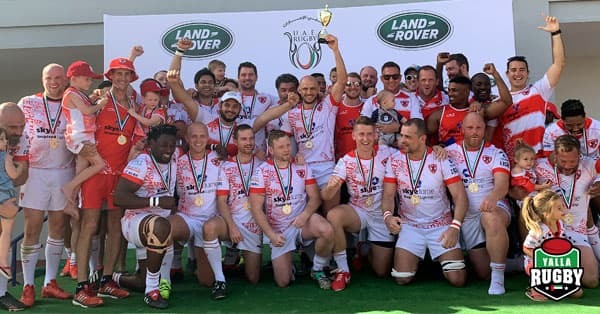 You may be interested in reading this news article on the 2018/19 UAE Conference final – Dubai Tigers Crowned 2018/19 UAE Conference Champions.